Non-Qualified Deferred Compensation (NQDC) plans enable an executive to defer salary, bonus pay and other types of compensation into a self-directed investment trust. Funds in the trust can grow, tax-deferred, until withdrawn. NQDC plans enable high earners to set aside larger amounts for retirement than they can with a traditional 401(k) plan. But, unlike a 401(k), you can't borrow from an NQDC. A new generation of more mobile hospital executives, along with an active M&A market in healthcare, have increased the relevance of golden parachutes in recent years. An increasingly popular compensation tool for healthcare providers are supplemental executive retirement plans (SERPs). Similar to nonqualified deferred compensation plans, nonqualified retirement plans do not meet the IRS or Employee Retirement Income Security Act requirements for being immediately tax-deductible to employers. 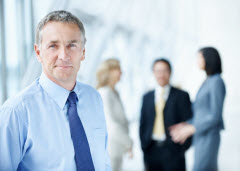 They are often used to additionally compensate high-level executives. Another downside of SERPs in the not-for-profit sector is that plan benefits can be lost in their entirety if the executive leaves before a pre-established time or event. Certain types of SERPs, namely the 457(b), are not subject to this vesting requirement, but carry an $18,000 to $24,000 annual contribution limit, depending on age. The benefits provided by traditional SERPs and 457 plans also are subject to the claims of creditors of the employer. In a bankruptcy, warns Koslow, all or some of the benefits might be lost.